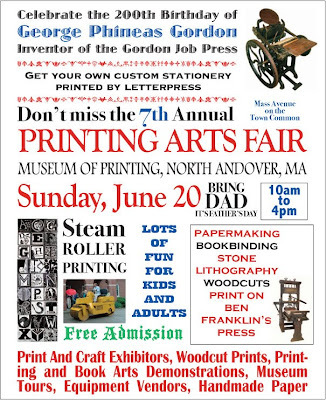 What better way to celebrate Father's Day than bringing dad to the 7th Annual Print Arts Fair at The Museum of Printing in North Andover. 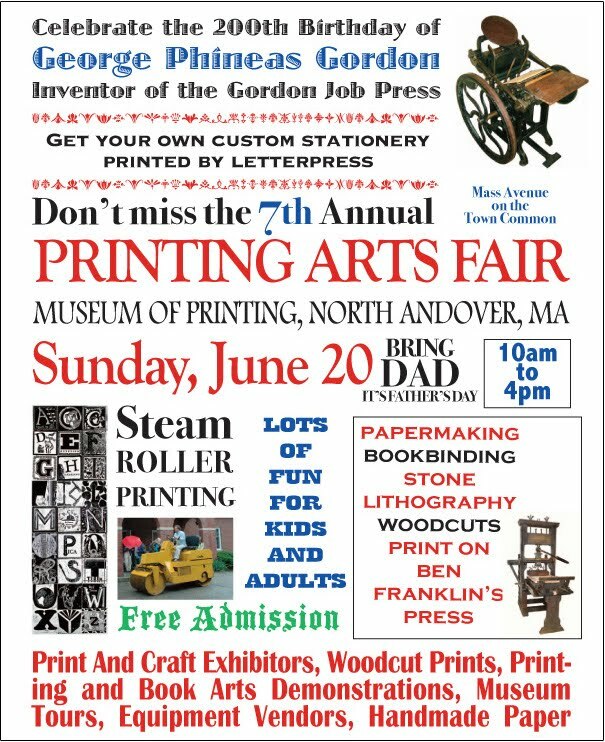 Pressbound will once again be participating in this wonderful event for letterpress and printmaking enthusiasts as well as the paper obsessed. There will be lots of local letterpress printers, bookbinders and paper artists selling their wares and/or equipment, doing demonstrations, and sharing their enthusiasm.